Rosevale is beautiful. The old one-teacher school (now closed) and the even older principal’s residence are set on top of a hill, surrounded by trees, with a view over dairy farms to Cunningham’s Gap. We lived in that house for the two years that Con was Principal of the school, but after that I wanted a change. Burketown, a small, isolated town in the heart of the Gulf Country, was where they sent us. It was hot, dry and flat. But it was rarely miserable. Just different. These days, there are conveniences in Burketown that were unimaginable when we were there: mains power, street lights, treated water, sewerage, a swimming pool complex, a coffee shop, even a green and shady caravan park. For us, shade would be a luxury. 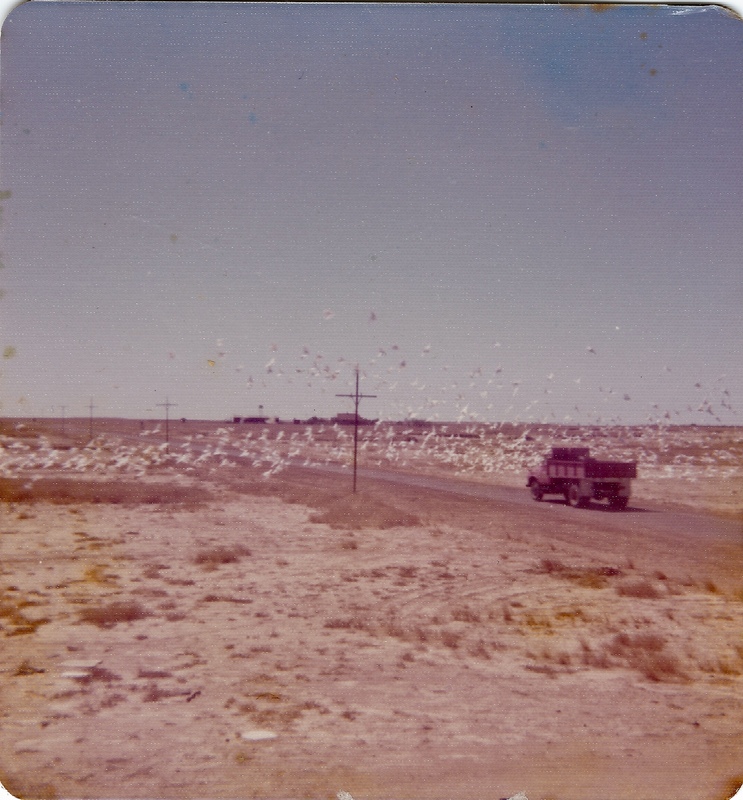 We moved to Burketown in January 1973, with our two small children. The car and our pets went on the train with us from Brisbane to Mt Isa: the dog in the dog box in the Guards Van, cats in the luggage van in pet packs and our HR Holden on a flat-car. From Townsville to Mt Isa there were no sleeping berths available, so we curled up on a couple of seats at one end of the Buffet Car, with people coming and going all night. On the train we met a pink-cheeked Irish family, just arrived in Australia and travelling to work at Mount Isa Mines. Arriving next day, we all stepped out of the train into what seemed like an oven. I sometimes think of that Irish family and wonder how they coped. A couple of days later, we flew to Burketown with Bush Pilots Airways in a twenty-seater Twin Otter. It was a mail run, stopping at Mornington Island and a couple of cattle stations, swooping over the station landing fields to chase horses away before setting down. At Mornington Island more passengers boarded, a couple of them sitting cross-legged in the aisle. One woman was wearing a broad felt hat with a tape measure as a hatband. I was in southeast Queensland no longer. At the tiny Burketown airport, the shire clerk met us, and he drove us into town. We left our suitcases in the principal’s house, a neat, new highset house of the style used all over the State for Queensland Government employees. Next door was the recently-built school. Awaiting the arrival by road of our furniture, we checked in at the pub. 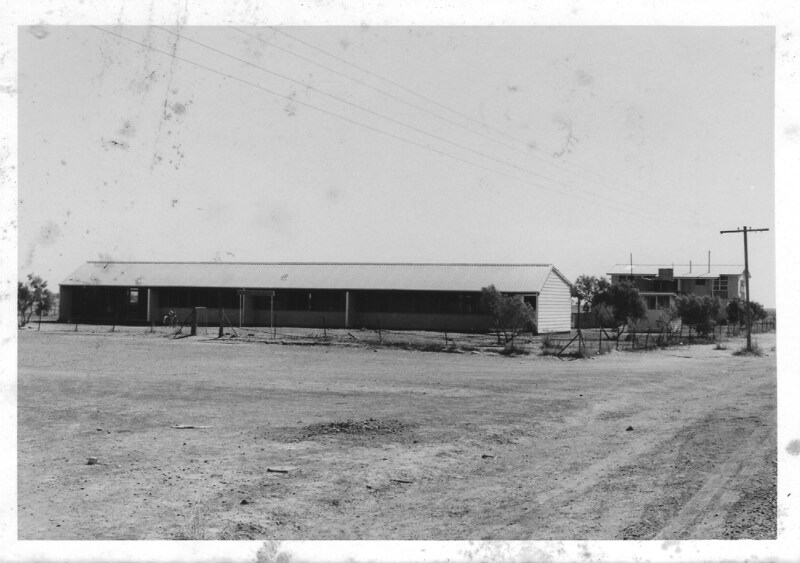 The Burketown pub, known as the Albert Hotel, was in those days a square concrete two-storey building. It had been built originally as Customs House for the then-thriving port on nearby Albert River. The sleeping areas were accessed via an outdoor staircase. We were warned that when the bar closed, the generator, which thumped away all day in the neighbouring shed, would be switched off, and there would be no lights until morning. There is no quiet like that of a tiny town in the middle of nowhere when the generators stop. Stars never seem brighter than on a clear night in a town with no streetlights. There is no heat like that of a tropical night in the middle of summer without fans. The publican also warned us that there would be no breakfast, as his wife, the cook, was away in Cairns. Next morning in the hotel kitchen I cooked bacon and eggs for us all. In our three years in Burketown, we got to know the Albert Hotel well, along with its eccentric regulars, animal and human. A sulphur-crested cockatoo named Whacko sat on top of the doorway into the bar, chewing the heads off matches. Fishermen and locals spun endless yarns, not only to the new schoolteachers, but also to visiting politicians and media. A film crew asked a group of locals playing euchre how long they’d been playing. “A couple of weeks,” came the laconic reply. Once we found a large fresh-water crocodile tied to a post outside the door, like a dog waiting for its owner. On our second evening in Burketown, when the bar was full and card games in progress, our furniture van arrived and pulled up in front of the pub. The card players offered to help with the unloading. South-east Queensland had suffered a heatwave over Christmas of 1972 and into the New Year. Con and I had been busy during those hot weeks before leaving the south. Driving round Brisbane with little kids in the back seat, trying to buy a kerosene fridge and a thirty-two volt washing machine, had taken precedence over sorting our belongings. In the end, we’d instructed the removalists to pack everything; and so the blokes from the Burketown pub, in their footie shorts, singlets and thongs, carried electric heaters and winter coats into a house without electricity in the middle of a Gulf Country summer. 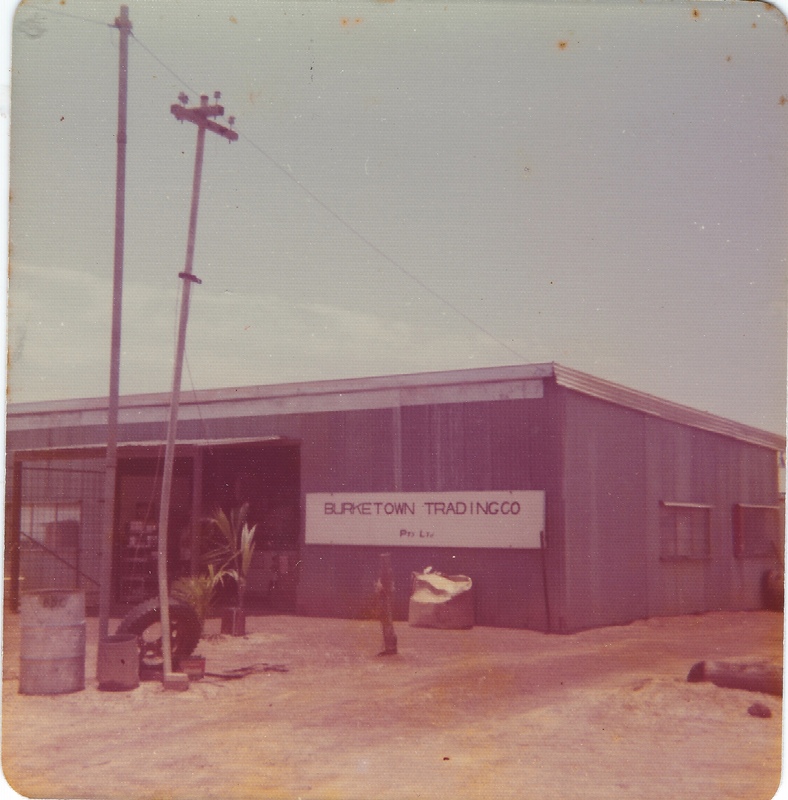 In our time, there was a hospital, general store, shire offices, fuel depot, school and hotel and not much more in Burketown, and barely a tree or blade of grass; but it was a friendly and welcoming place. The locals told us what sounded like tall stories, but I learned to believe the lot. Crazy things happened here all the time. 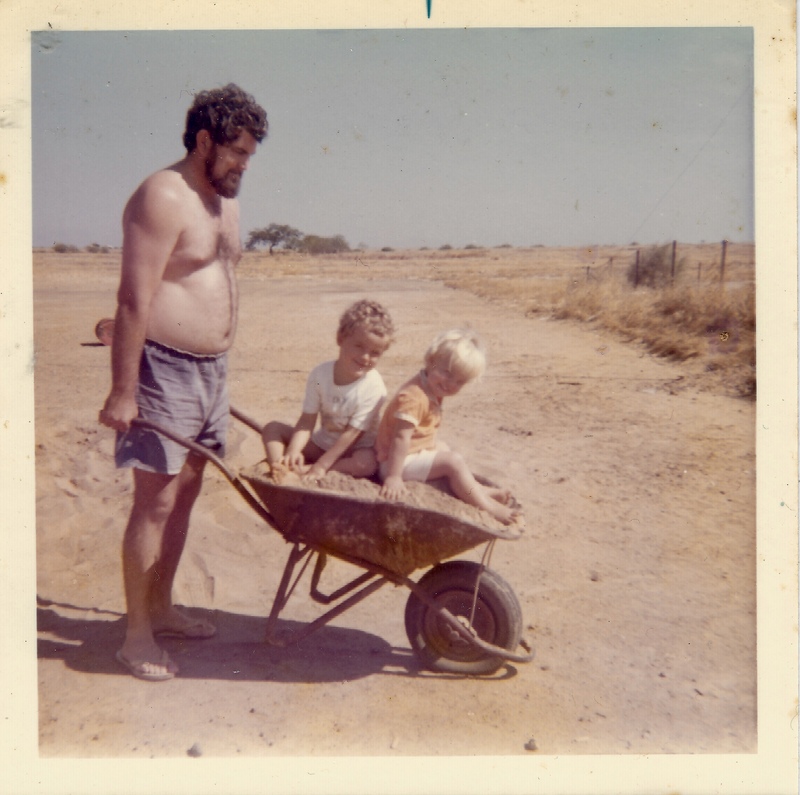 We never regretted the move to the Gulf, in spite of insect plagues, the trials of operating the thirty-two-volt generator, kerosene fridge and petrol iron, the scarcity of fresh fruit and vegetables, the rough dirt roads, the isolation. Sometimes it was lonely, though. I would stand on the verandah, looking north to where the Gulf lay, out of sight beyond endless desolate salt flats and mangroves, and feel sorry for Burke and Wills, who got this far and then turned back, to die of starvation. It can feel like the end of the world, up in the Gulf Country. Outstanding story Rose. I actually started thinking it might be nice to visit … now that there is power, swimming pool, shady camping … and a coffee shop! Thanks for your comment. I’d like to go back there. I will, one day. Thanks, Ian. It’s a great little town! Thanks, Ken. We were young then! Lovely people up there. Goodness, what an adventure just to get there. It was indeed an adventure! Thanks again for a wonderful story. Have you ever heard from anyone who was at the school at the time? At the Burketown school? Just one girl, who became a phys ed teacher and now lives in Brisbane. Con ran into her at a school he was visiting. I’m hoping we’ll get up there for a visit some time soon. Thanks for your comment, Marion!